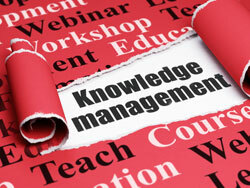 Knowledge Management is a key capability for enhanced customer support. Learn more in this article by Chris Hall. 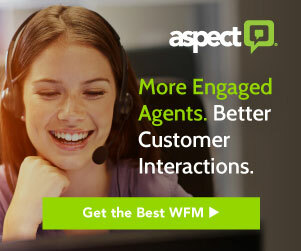 Contact Centers have invested millions of pounds on core infrastructure technologies like Interactive Voice Response, Automatic Call Distribution, Computer Telephony Integration, Customer Relationship Management and workforce management solutions. These technologies do a wonderful job of identifying the customer, directing them to the best skilled agent and logging the interaction. However, the most crucial part of delivering an answer to the customer still remains largely under invested. This is predominantly an area that customers are demanding more investment from service centers. In Gartner’s latest Magic Quadrant for CRM Customer Service Contact Centers, Gartner cites Knowledge Management for the service agent as the number one new capability needed for 2011. Knowledge enabling the Contact Center is essential in providing fast, accurate answers across service centers. It levels the playing field of information for agents and increases their efficiency and confidence. With knowledge embedded into the CRM desktop, we are seeing huge improvements on how top companies are delivering better answers to their customers. Poor service is not just an annoyance for customers; it has a significant impact on a company’s business. At best it creates poor experiences for customers and at worst it drives customers to the waiting arms of competitors. InQuira works with many clients who would prefer the problem of consistently delivering wrong answers to the random delivery or variety of answers. The former is faster and easier to correct than the latter. Customers are also smart enough to leverage and tolerate inconsistency of service answers provided they benefit from the answer. If they do not feel they are getting the answer they deserve they will typically try another channel or service number to seek out a more desirable answer. 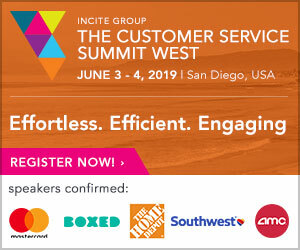 This behavior is not sustainable from an operational cost perspective and from a customer service experience perspective is often the “tipping point” that causes a customer to switch providers. Traditional contact center metrics of Average Speed of Answer (ASA) and Average Handle Time (AHT) seem to be taking a back seat to customer satisfaction. Customer experience is top of mind in every organization and we are seeing a real focus on first contact resolution over speed of answer or average handle times. Companies are now focused on successful first time and every time experiences. The payback comes through reducing transfers and repeat calls, which improves service effectiveness and boosts customer satisfaction. Having a knowledgeable, helpful representative is now even more important than speed of response or of solving the customer’s problem. Simply put; better answers = happier customers. Chris Hall, CMO of Transversal, brings over twenty years of business experience as a senior marketing and product strategy professional in the enterprise software industry. 10 Things Your Customers Really Want You to Know!